Fortnite took the Battle Royale genre by storm with its unique free-to-play model. The game was rumoured to release alongside the Samsung Galaxy Note 9 and remain exclusive to the device for 30 days before being supported on other smartphones. Today, a Reddit user dug deep into the Epic Games website and found interesting results. Fortnite for Android might not be available to download via Google Play and has to be downloaded via Epic Games’ website. 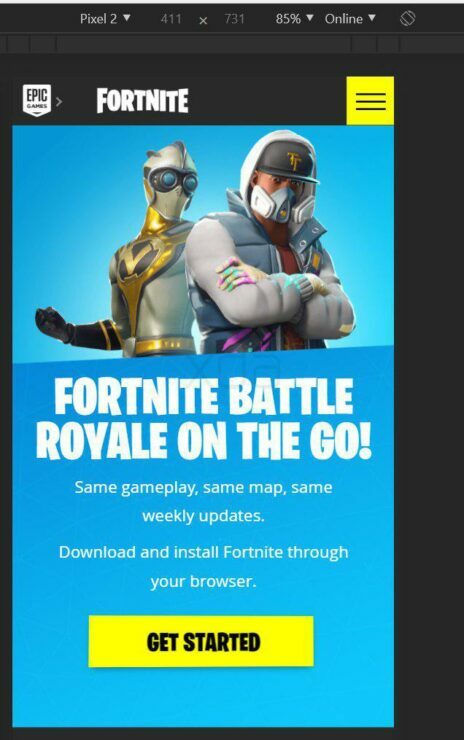 Here are two images that walk a user through setting up Fortnite on an Android device. The image on the right has the download link which redirects the page to the image on the right. If the game were to be hosted on the Play Store, it would redirect to the appropriate Play Store listing. However, the image asks users to permit downloads from outside the Play Store, indicating that the game might not be on the Play Store at all. The answer seems obvious at this point. Fortnite is immensely popular and will certainly generate a lot of revenue. Hosting their app on the Play Store will mean that a cut of all revenue generated goes to Google. 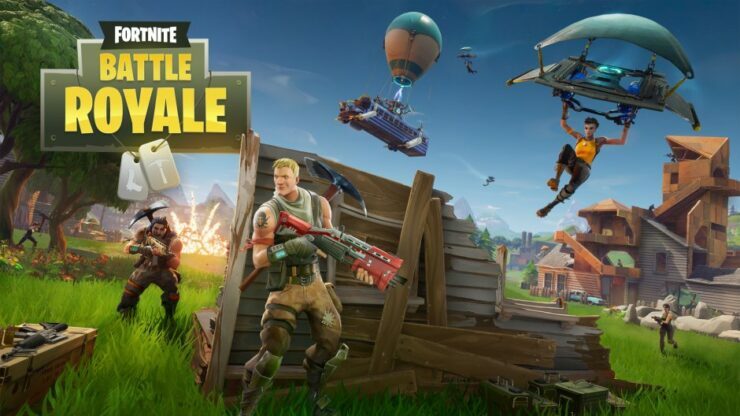 With a player base of over 125 million users, Fortnite for Android is expected to rake in a lot of moolah. In the first ten days of Season 5, the iOS release netted Epic Games $2 million per day. Total mobile revenue has thus far reached $150 million since launching on March 15th. 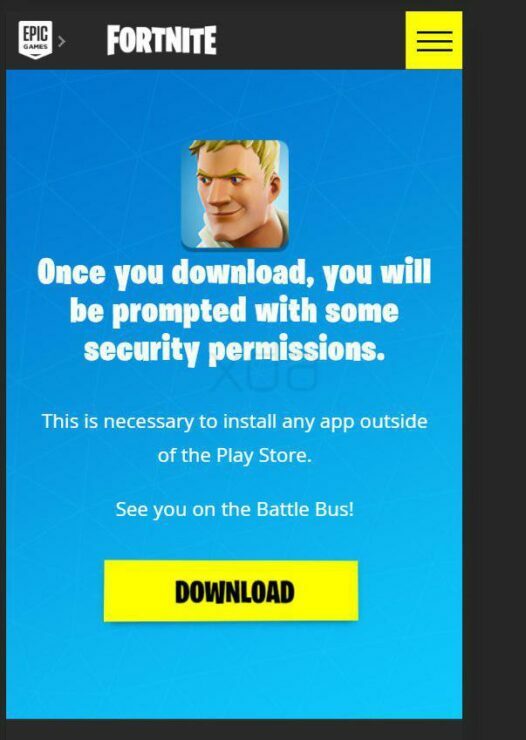 Since there is no other method of distributing apps in the Apple ecosystem other than the App Store, Epic Games had no choice. While Google has made the process of allowing apps that are not hosted on the Play Store fairly easy, many users might be sceptical about it. Another problem will be the flood of fake APKs claiming to be Fortnite for Android will float around the market, confusing users even more. A Play Store listing is more customer friendly as users can be assured that they’re downloading the real thing. How Epic Games will distribute the upcoming battle royale game on Android isn’t confirmed yet. For all we know, it could get a Play Store listing after a period of time. It’s hard to tell at this point and we’ll know for sure once it has released.